^ Archerd, Army. (2003-12-11) Inside Move: Flu KOs Smart Set yule bash – Entertainment News, Other News, Media. Variety. Retrieved on November 14, 2011. 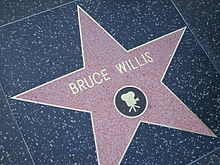 ^ "Bruce Willis". The Daily Show. Comedy Central. 2007年6月26日放送. 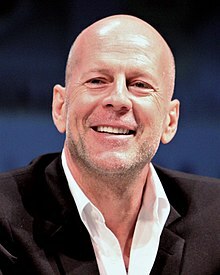 ^ “Film starring Bruce Willis to be shot in RI”. Boston Globe. Associated Press (Providence, R.I.). (2011年3月24日). 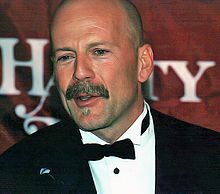 http://www.boston.com/news/local/rhode_island/articles/2011/03/24/film_starring_bruce_willis_to_be_shot_in_ri/ 2011年4月6日閲覧. "Steven Feinberg, executive director for the Rhode Island Film and Television Office, says on-site work on the film, 'Moonrise Kingdom,' is scheduled to begin this spring. Feinberg says the film will be shot in several locations in Rhode Island." ^ Anderton, Ethan (2011年5月5日). “Bruce Willis and 50 Cent Teaming Up Again to Fight 'Fire with Fire'”. Firstshowing.net. Variety. 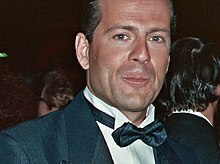 http://www.firstshowing.net/2011/bruce-willis-and-50-cent-teaming-up-again-to-fight-fire-with-fire/ 2011年5月6日閲覧. "Now Variety reports that for some reason, the two will team-up again for an indie drama called Fire with Fire." ^ Bettinger, Brendan (2011年5月5日). “Vince Vaughn Joins Rebecca Hall, Bruce Willis, and Catherine Zeta-Jones in LAY THE FAVORITE”. Collider.com. http://collider.com/vince-vaughn-lay-the-favorite/89285/ 2011年5月6日閲覧. "Vince Vaughn will join Rebecca Hall, Bruce Willis, and Catherine Zeta-Jones in the gambling drama Lay the Favorite."